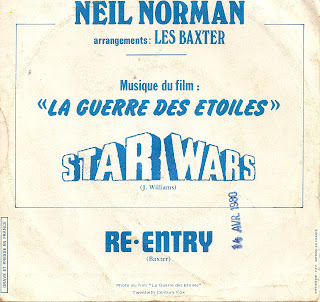 Neil Norman and easy listening master Les Baxter produced several records under the name of Greatest Science Fiction Hits at the end of the 70's and the begining of the 80's. 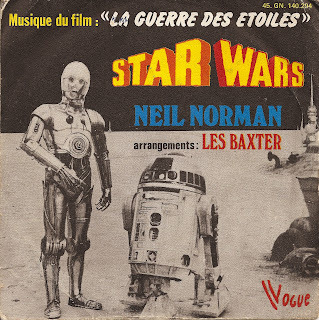 Thoses records were melting sci-fi soundtracks covers and original material, all made in a disco synth pop style. 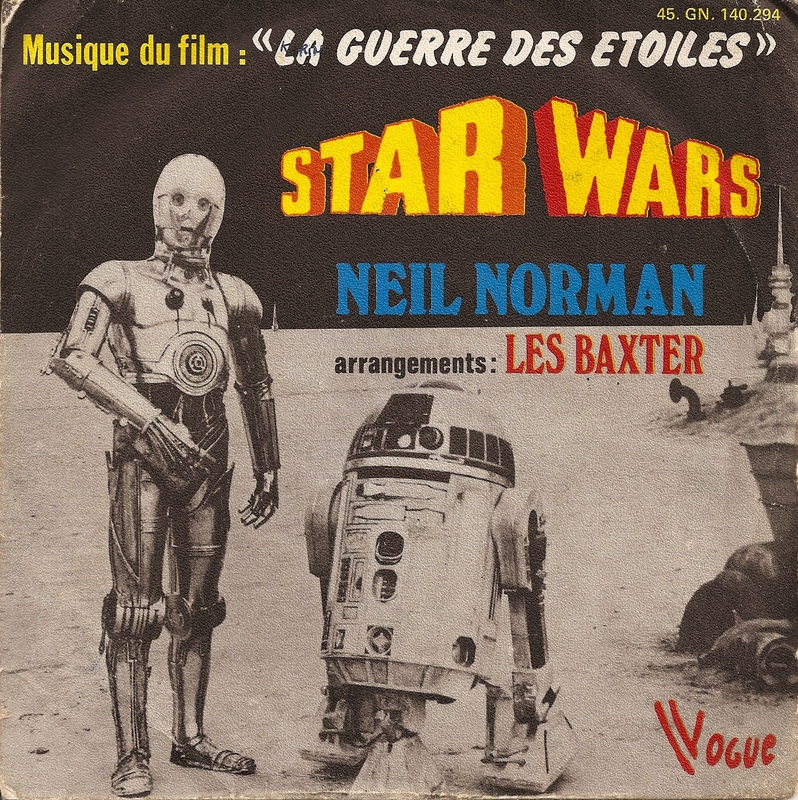 Star Wars was released on Greatest Science Fiction Hits Vol. 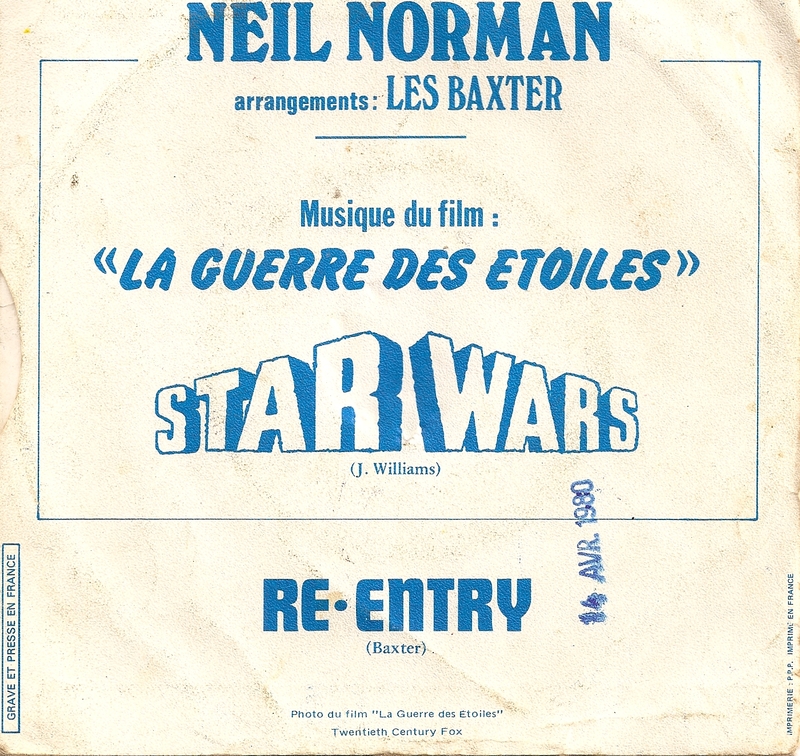 1 LP and as a 7" in France with on the B side Re-Entry. Re-Entry is the strongest track a little groovy gem. 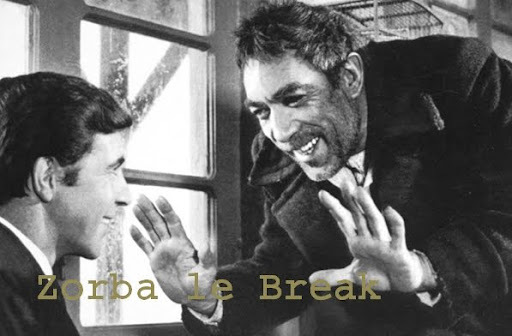 Starting with a traditional sci-fi synth sound, it then explodes in a blaxploitation style track with funky breaks, a massive bassline, a wah wah guitar and then morphs again into jazz rock. Warning: the sound on the version I got and I have posted is not very good.